ARE YOU USING PINTEREST TO BUILD YOUR BUSINESS? This content is provided by Connally Plumbing, a plumbing company serving New Braunfels, San Marcos, and surrounding areas, and a member of the New Braunfels Chamber since 2016. When it comes to social media and business, we hear a lot about Instagram, Facebook, and LinkedIn. Social media platforms allow us to connect with people on a personal level and directly engage with them. 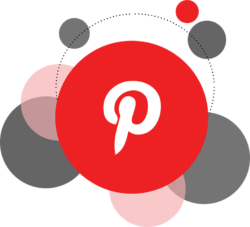 Pinterest is a platform that we don’t hear about as much, but with over 200 million users every month, it’s important for business owners to consider whether or not Pinterest makes sense for them as a marketing platform. If they decide Pinterest could be a profitable platform, it’s time to learn how to optimize Pinterest and use it strategically. Upload a profile picture of yourself or your company’s logo. No one wants to follow the Pinterest account with that grey silhouette as a profile picture. Use keywords in your profile description as long as they are applicable, and be sure to list your location in the provided section. These seemingly small details will contribute to improving your overall SEO. Start with 5-10 different boards, and be sure to assign a category to each one. The more content you have, the more likely people are to follow you. Establish a strong profile with a variety of boards to engage people. You want most of your boards to be relevant to your business, but throw some fun ones into the mix! Create original pins that link to your website. After you’ve optimized your profile, this next step may be the most important thing to contribute to Pinterest success. Create original pins from the content on your website, such as blog posts or images. These new pins will drive traffic to your site. Even better, the more they are re-pinned, the more people will see them. If you have great content for your pins but no graphics, use Canva to create eye-catching graphics in no time. You can even create multiple graphics for the same blog post, in order to see which performs the best. When you upload original content, use relevant keywords in each description. Weave keywords into a compelling description rather than just listing industry keywords. Try to think like the user; what might someone search in order to find your pin? Follow people… but not right away! Build your Pinterest profile before you start following people. Create 5-10 boards with pins in each one. You don’t want someone you follow to check out your account, only to find an empty profile with no pins. Show people that you have valuable content for them. If you’re a business owner, consider adding Pinterest to your marketing strategy. Share your content, engage new users, and point people back to your website with Pinterest. Remember your target audience and work to create and share content that speaks directly to their needs.